Built in the 1930's, this immaculately restored and maintained Aeronca Chief which is currently based at Smoky Creek Airfield near Biloela, began it's flying career in Australia as VH-ACJ, sistership to Aeronca Chief VH-ACH, of which both aircraft spent time flying with the Royal Queensland Aero Club during the earlier years of thier life. After being written-off due to an unfortunate accident at Toowoomba in 1951, VH-ACJ once again took to the skies (this time as VH-RMB) after being restored in Caboolture by Ron Baines and another Brisbane local. 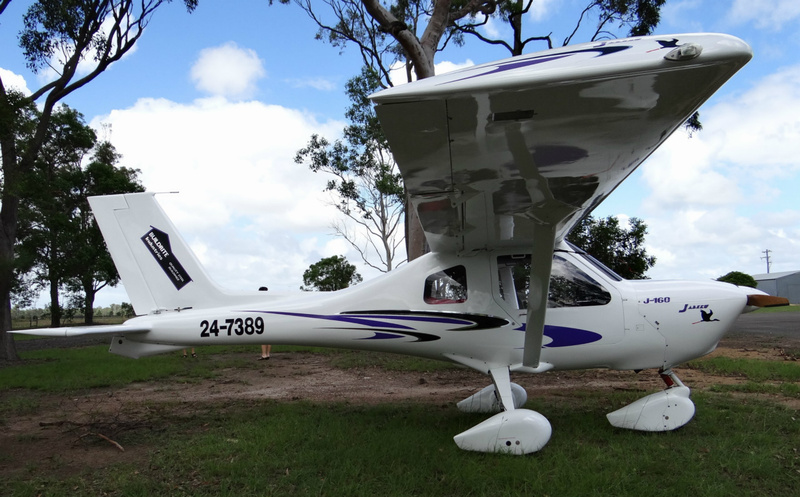 After changing ownership yet again, VH-RMB (ex-ACJ) became an RA-Aus registered aircraft (24-3251) and with it's new identity, became a new life as a flying training platform around the Gympie and Rainbow Beach area. The current owner, Alan Wilson, later purchased and transported the aircraft to Smoky Creek Airfield where the aircraft continues to reside in an airworthy condition. Powered by a 65hp A-65, horizontally opposed, 4-cylinder Continental engine which is a member of the O-170 series of powerplants designed in the 1940's for application in light civil and military aircraft, it is reported Aeronca Chief 24-3251 is capable of cruising between 65-70 knots.